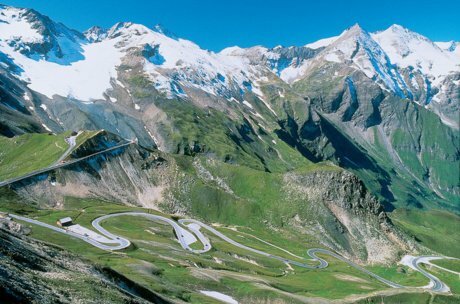 The Grossglockner - mountain, legend, challenge. When talking about driving on the Grossglockner, then that doesn't mean driving on the country's highest-situated summit. 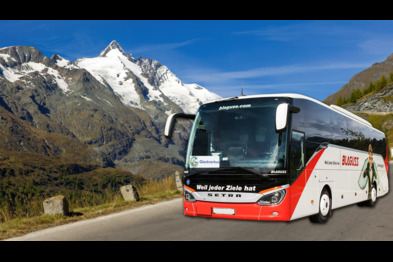 It means that a tour on the country's, if not even the continent's, most beautiful pass road - the Grossglockner High Alpine Road - is on the agenda. Starting in the Fuscher Valley in the Pinzgau District, it has been winding its way uphill into the high mountains just to wind its way downhill again toward Carinthia for almost 100 years. A vision that has become reality through innovative, assertive men who just never gave up on their idea. This amazing north-south link via Fuscher Törl, the Hochtor and the Franz-Josef-Höhe has been open since 1935. The highest point of the Grossglockner High Alpine Road, the Edelweißspitze, is situated in 2.500 m above sea level. The road leads through the Hohe Tauern National Park right into the high mountains. Due to ice and snow is the Grossglockner High Alpine Road closed for traffic for up to six months a year. An astonishing event takes place every year in April and May. The snow clearing of the Grossglockner High Alpine Road was initially hard work for hundreds of men with shovels. The strong arms of the Pinzgau and Carinthian men were replaced by powerful rotary ploughs at the beginning of the 50s. These were developed personally by the constructor of the road, Franz Wallack, and were produced in the VOEST factory in Linz. Real quality workmanship which is still used today. Yes, you read this right; the "ice tamers" of the Grossglockner still deliver reliable service on the country's highest-situated road. So is it not surprising that the meeting of the Salzburg and Carinthian snow tiller teams in spring has become a real media event. 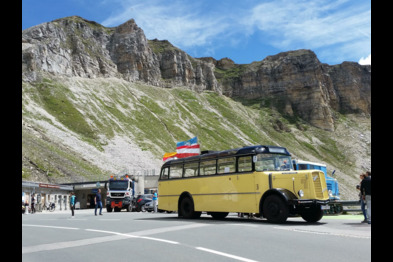 This event heralds the nearing re-opening of the Grossglockner High Alpine Road every year. A great summer season along the pass road starts the minute the Grossglockner High Alpine Road opens in May. The road leads its visitors reliably and safely into an alpine playground in the presence of the country's highest summit. Ski tourers, hikers & mountaineers get easy access to the most amazing tours in the Hohe Tauern. 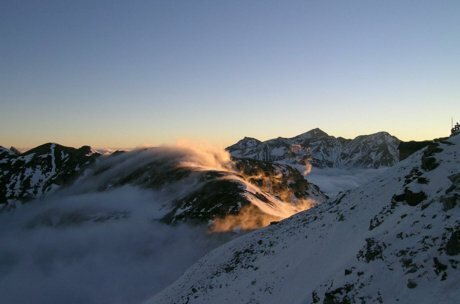 Do you want to climb the Grossglockner? The road will take you there. 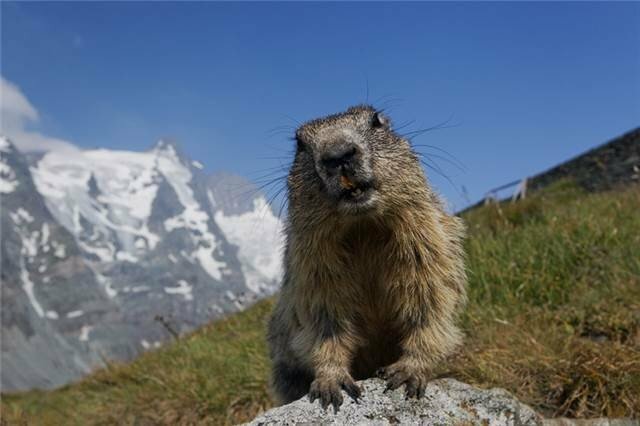 Fancy a fantastic hiking tour into the Gamsgrube or a multi-day hiking tour on the Glockner Route? After the ascent on the pass road, you can start right away. The road is not just an access road but a sports ground and playground as such. Thousands of motorsport fans get this tingly feeling when the snow retreats in spring. Motor bikers experience the centrifugal force when "flying" through the 36 bends of the Grossglockner High Alpine Road, meeting also car drivers and test drivers of well-known motorsport brands there. The "Glockner King" is out and about on two wheels, without motor though. Taking the road to the Grossglockner by racing cycle and E-bike is the annual highlight of thousands of cycling fans. Every ambitious racing cyclist must have taken the Glockner Route once in their life, whether during the Glockner King Event or any other day in the summer. One thing is very clear on the Grossglockner High Alpine Road: "the journey is the reward". It is not about arriving at the top, it's about experiencing the pass road with all its views, places for a stop, display boards and information points. The experience for the entire family starts already at the tollbooth in Ferleiten. The Ferleiten Wildlife Park is worth a visit even before starting the ascent. Interesting facts can be discovered on the various display boards, at information points and at exhibitions along the road on the way up. Nature, fauna and flora and the history of the road until it was built will captivate you and delight your children. Once arrived on the Franz-Josef-Höhe, there is only one thing that counts - the view, which, on fair-weather days, is dominated by the Grossglockner and the Pasterze, Austria's largest glacier. 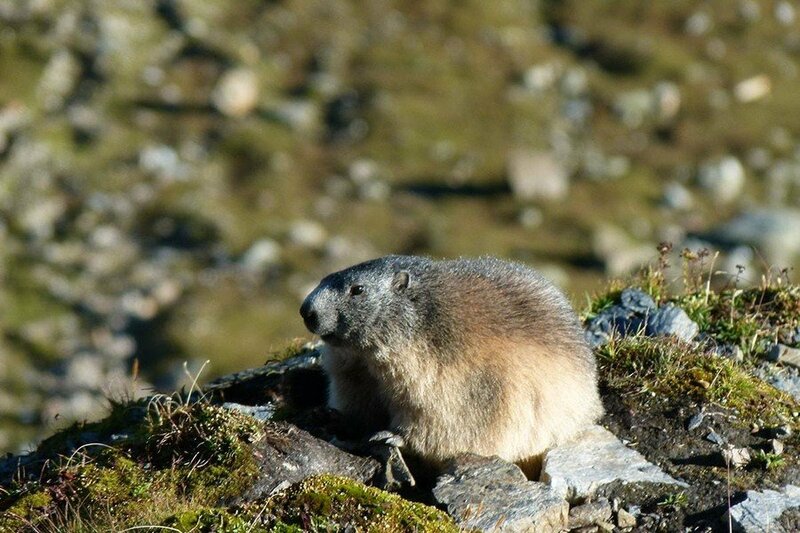 You will be accompanied by friendly marmots who appreciate various treats. Try a short trip across the Gamsleiten Trail. You will learn many interesting facts about our glaciers and the Hohe Tauern National Park along this adventure trail, which leads in part into the mountain. Enough of education and adventure? Various huts and restaurants along the road are waiting for your visit. 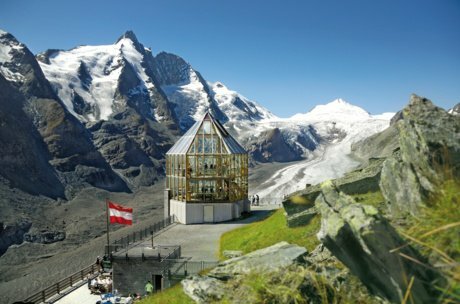 The best view to the mountains offers the terrace of the Edelweißspitze, which is the highest point of your tour on the Grossglockner High Alpine Road. Right at the top, you will enjoy your refreshments even more. "The Grossglockner High Alpine Road is not only my place of work, it is also my home. Every year, I look forward to when our Salzburg snow clearing team has successfully done its work and we can re-open the road again for excursionist traffic in summer. I like the delighted faces of the many visitors who are overwhelmed by the nature, the views to the mountain world and the wide range of possibilities and adventures. 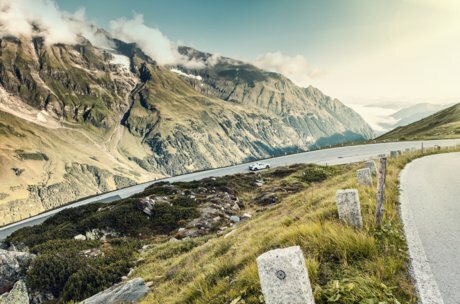 Our Grossglockner High Alpine Road has not lost its appeal and fascination in the many decades of its existence!" Fascinating, or? 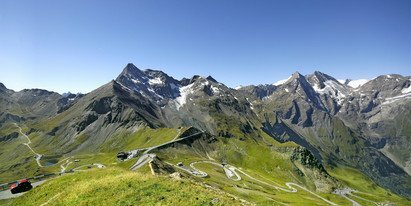 The Grossglockner High Alpine Road was built at the beginning of the last century and still leads reliably into a magic world of stone and ice. Have you ever driven to the Franz-Josef-Höhe and enjoyed the panoramic view to the Grossglockner? Then it's about time. Book comfortable accommodation for your next holiday in the Zell am See-Kaprun region now. For more information and further details about the best excursion destinations, contact us directly. Enjoy your holiday!